With Mobile World Congress unofficially kicking off already, seeing new smartphones announced isn’t much of a surprise. 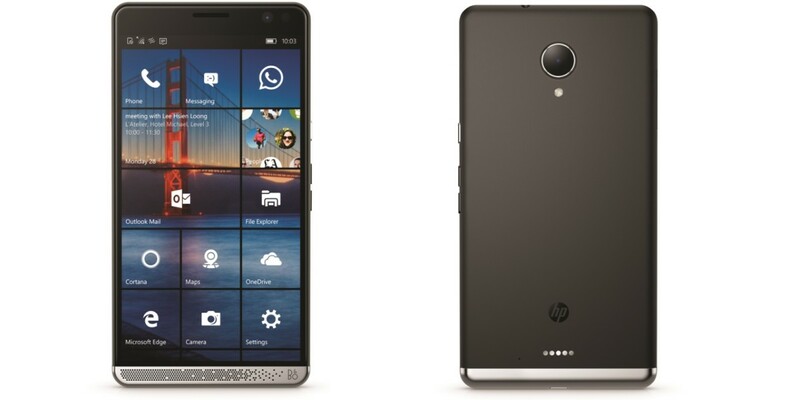 Seeing a Windows smartphone from HP with a ridiculously impressive spec list was, however. Called the Elite x3, the device offers up a 6-inch Quad HD (2,560 x 1,440 pixels) display, 2.15GHz quad-core Snapdragon 820 processor, 4GB RAM and 64GB of on-board storage. If that’s not enough, there’s also support for microSD cards up to 2TB. Other hardware specs include a 16-megapixel rear-facing camera, 8-megapixel selfie snapper USB-C, fingerprint sensor and iris scanner and IP67 rated – meaning it’s protected from immersion in water with a depth of up to 1 meter for up to 30 mins. It’ll also resist dust ingress. Powering the the huge display and processor is a monstrous 4,150mAh battery. LG kicked off the show with its first modular smartphone, but with a huge number of manufacturers already building Android devices, it’s harder and harder to attract attention. By contrast, this straightforward but high spec Windows 10 device has little else to contend with in the market. More attractive than its naked specs, however, is the fact that it supports Windows 10 Continuum for phones, essentially allowing your phone to act as your PC stand-in by using it with one of two different docks. It’s a brave leap into the unknown – one that Canonical is betting on with its Ubuntu OS too – for a company struggling to get to grips with an evolving hardware market. Clearly, it’s looking to get ahead of the curve on this one, rather than having to play catch up. It’s primarily aimed at enterprise users, which makes sense given HP’s and Microsoft’s service heritage, but I’d argue it’s an interesting proposition for the consumer market too. If Microsoft can convince the millions of everyday Windows users that currently opt for Android devices that it’s mobile OS is really ready to play, then it has a huge opportunity on its hands. High-spec handsets like this can hardly hurt kickstart that, particularly in comparison to Microsoft’s own efforts with the Lumia 650 launched recently. How well it performs in the real-world, how much it costs and when it will arrive all remain to be seen.